(Natural News) More than just being more prone to falling, the elderly are highly susceptible to fall-related injuries as well. In fact, falls are regarded as the leading cause of injury, hospital admission, and death among those aged 65 and above. Yet according to researchers from St. Michael’s Hospital in Toronto, Ontario, fall prevention can be accomplished through exercise. Whether alone or as an adjunct to other intervention methods, exercise has been suggested as the most effective way to prevent falls among the elderly. Drs. Sharon Straus and Andrea Tricco came to this conclusion after analyzing 54 randomized clinical trials of 39 fall-prevention interventions. They found that exercise by itself can reduce the likelihood of injurious falls among those above 65 by as much as 12 percent. Combining exercise with vision assessments and/or treatments, as well as assessments and modifications of a person’s living environment, can increase this number to 23 percent. Exercise with vision assessments and/or treatments was noted for being the most effective preventive strategy, as it can decrease the risk of falls by as much as 38 percent. “We have been able to identify the most effective strategies to reduce the risk of falls that cause injuries. 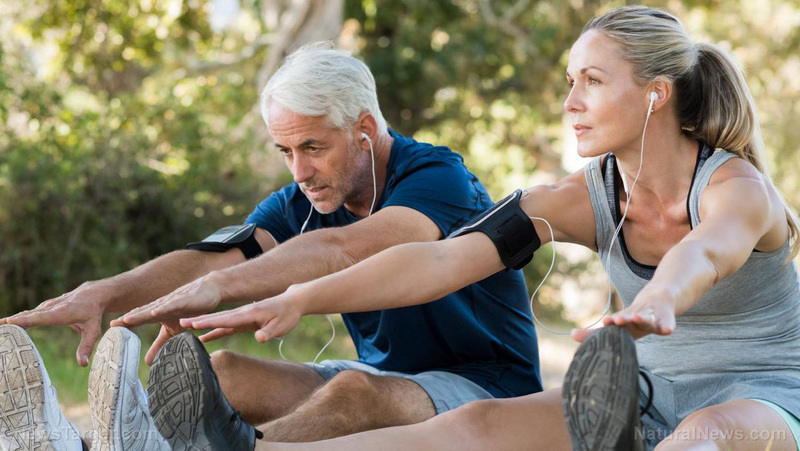 Exercise alone, or in conjunction with vision assessments and environmental assessments, is very effective and should be considered by patients, clinicians, and policy-makers,” said Tricco, a scientist at the hospital’s research institute. She added that the choice of fall-prevention intervention can be affected by the preferences and values of the patients and their caregivers. As an example, Tricco cited an instance wherein the chances of falling actually increased due to the risk of immobility being greater in older adults. However, there are instances wherein encouraging elderly patients to become more mobile as their strength grows would actually put them in harm’s way. Balance exercises: One of the best types of exercise for the elderly, balancing can help build leg muscles, which can then prevent falls. Endurance exercises: Walking, swimming, biking, and jogging all fall under this category. Even raking leaves can help build endurance, as the point of these exercises is to increase the heart rate and breathing for a brief period of time. Strength exercises: By increasing metabolism and building muscles, seniors will be able to better maintain their weight and blood sugar. Stretching exercises: These exercises will allow senior citizens to experience greater freedom of movement, and can help them remain active as the years go on. Visit HealingArts.news to read more stories about maintaining one’s health through the golden years in a holistic manner.